Few coaches are as synonymous with college basketball as Duke University’s Mike Krzyzewski, and even fewer have reached the milestone he just clinched. Coach K cements his legacy of sustained success as the first coach in Division 1 men’s college basketball, and the second coach in NCAA history, to notch 1,000 game wins. 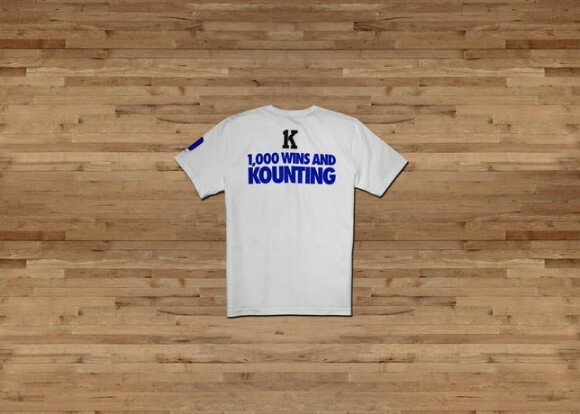 Nike celebrates Krzyzewski’s historic accomplishment with special-edition “Coach K Celebration” tee. – Phil Knight, Co-Founder and Chairman of Nike, Inc. 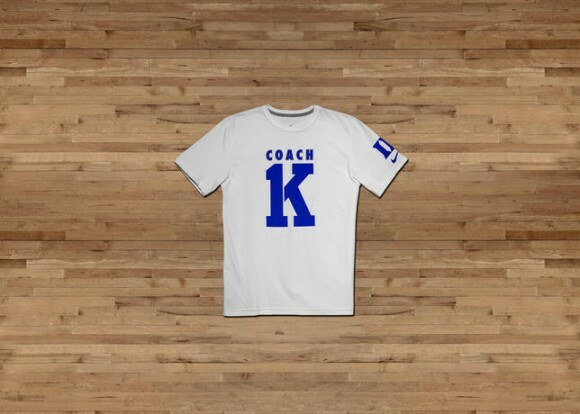 The limited-edition “Coach K Celebration” tee is available now at nike.com as well as customized tee and Air Force 1 product at House of Hoops by Foot Locker Pop Up at 33rd and 7th after the game. 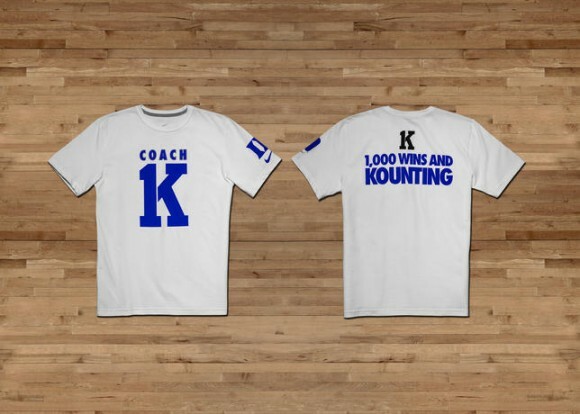 Coach K is the man.